When Bill Evans began building trios that represented a collaboration of equals rather than soloist accompanied by rhythm section, it's unlikely the late pianist could have envisioned the way Jean-Michel Pilc, bassist François Moutin and drummer Ari Hoenig wowed fans at a 2011 Ottawa International Jazz Festival performance. Bringing new meaning to the phrase "egalitarian," each and every member was clearly capable of pushing the music in a new direction, so keenly attuned were they to each other. Hoenig, in particular, seemed a mad instigator, grinning fiercely as he pushed his elbow down on his snare hard, turning it from a percussion instrument into one actually capable of melody. Not that the concept is new, but Hoenig has honed a bit of showmanship shtick into something musical, taking it to the next step on his own Lines of Oppression, where he becomes the lead instrument on Bobby Timmons' classic "Moanin'"—nearly beyond belief, as he ekes notes as blue as they'd sound on a horn. Settling back into a more conventional role as purveyor of a loose swing groove, he passes the baton to guitarist Gilad Hekselman, who demonstrates increasing distance from his earlier touchstone, Kurt Rosenwinkel, with carefully chosen notes, overdriven but in a warm, almost ethereal way. Pianist Tigran Hamasyan's next, and though capable of lithe flights of fancy—and a musical mélange that often brings his own Armenian roots into the equation—in the context of this blues, he demonstrates a deeper appreciation of the tradition, starting with Count Basie-like economy, but gradually picking up steam as his solo, an encyclopedia of jazz piano, gradually unfurls. There's also a reading of Thelonious Monk's oft-covered "Rhythm-a-ning," delivered with Carl Stalling-like wryness before breaking into a middle section where Hekselman and Hamasyan go at it, head-to-head, for one of the album's more exciting moments. Monk's influence is also felt on a trio version of "How High the Moon," featuring Hamasyan and bassist Chris Tordini, who subs for regular bassist Orlando Le Fleming here and on two other tracks, including the pianist's idiosyncratic, rock-edged set-closed, "Higher to Hamasyan." The rest of the album comes from Hoenig's pen, accounting for two-thirds of its 60-minute duration, the majority of that slice occupied by just two compositions—the quirkily polyrhythmic title track, featuring an early bar-raising solo from Hekselman, and the even knottier "Arrows & Loops," with its preponderance of accented shots amidst a dervish-like melody, leading to Hamasyan's set-defining solo, a combination of choppy voicings and fluid, serpentine melodies. "Wedding Song" proves Hoenig isn't averse to lyricism, though its bittersweet melody seems paradoxical to the song's title. Whether taking the lead on "Rhythm"—his a capella solo and vocalizations a North American variant on the Indian konnakol tradition—or acting as perpetual rhythmic instigator, Hoenig leads his group democratically, not unlike his work with Pilc and Moutin. Lines of Oppressionmay feature Hoenig's name on the marquee—and it's clearly his vision driving the group's overall direction—but it's unequivocal that this is a quartet of equals, driven moment-by-moment by the unfettered expressionism of everyone involved. Lines of Oppression; Arrows and Loops; Wedding Song; Rhythm; Rhythm-a-ning; Moanin'; Love's Feathered Nails; Ephemeral Eyes; How High the Moon; Higher to Hayastan. 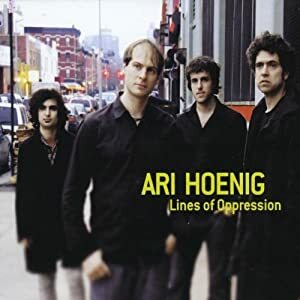 Ari Hoenig: drums, vocals; Tigran Hamasyan: piano, vocals, beat box; Gilad Hekselman: guitar, vocals; Orlando Le Fleming: bass (1, 3, 5-8); Chris Tordini: bass (2, 9, 10), vocals. The CD reissue of the 1983 LP of the same title with six alternate takes included. 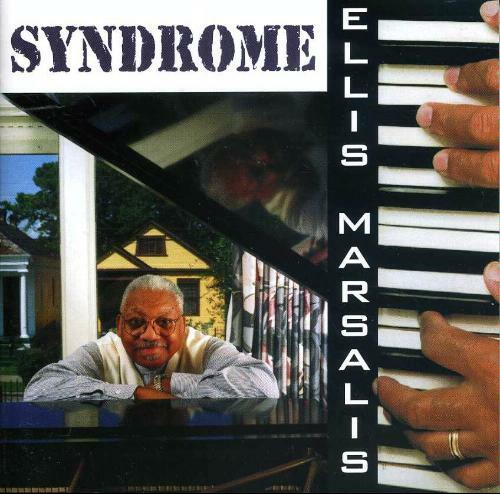 This is classic Ellis Marsalis with the great and under-recorded James Black on drums. In the late 70's and early 80's James would inspire Ellis in remarkable sets all over town. This recording is proof of that. When it was released in 83 it received a five star rating from Down Beat magazine. Recommended. Felice Clemente is a Milanese artist who, despite his young age (37 years), already has 8 CD's made payable to him; saxophonist, clarinetist and composer Felix has his art on solid classical studies and specialization in jazz, succeeding very well to blend the two dimensions reaching an excellent blend of rigor and freedom, including accurate angles.The music proposed here, all of excellent quality without exception, takes in a balanced experience of the Coltrane quartet, and subsequent variations of artists such as Lovano (at least that comes to mind), the substance of this reference is strengthened by 'work of the musicians that accompany Happy on this adventure.Massimo Colombo is a floor-standing partner, a trusted companion but also a culture of safety in terms of reference of that tune on the mix of classical / jazz for those who want to savor the essence of the harmony between the two artists on this plan recommend Double Track (2010), highly significant in the synergy between the two areas although perhaps a bit 'too close educational exercise.Julius Corini the bottom represents a significant added value because of its lines never static, never limited to the tonic and the cadences, able to express a modern sensibility that combines impact and sense of adventure.Massimo Manzi on drums is another longtime partner that offers a careful drumming to the beat but free and mild, and generally fly on the plates and chopsticks on the snare drum so as to indicate clearly the track but also to create a true fourth entry the combo.With the potential above the disk can not disappoint and in fact does not disappoint at all. The compositions are all happy with the exception of two pieces of Columbus, one of Corini and the reference to Rimsky Korsakov "The young prince and princess", re-executed balance between song and more contemporary abstract moments, like the very interesting speech of the bass.Generally prevails attention to the theme and the melody, in the best traditions of jazz national themes are often open to improvisations or variations more or less complex, as in The courage to try, or Paradoxes, or more like a leash Anecdotes. The basic rhythm is alive, do not despise odd digressions and still is an integral part of an organization that considers the interplay as participation and unison, as evident in the incipit of Lost in the blues.The bop profile than can be guessed in Inside changes, pervaded by a certain influence of Sonny Rollins and when the property next chorus interventions provides the sax, piano and bass, a very smooth track, with a confident manner and dissolved, pleasant but undeniable consistency.Work of unquestionable value, in which taste and culture come together in a rendez-Vouz class, could do a very good end of the year in the playlist. The title Bach's Secret Files and More Crossover Fantasies might suggest several things. But none among them touches on the actual content of this album, which is a) jazz, not crossover, b) not concerned with secrets or secret files of any kind, and c) less than half filled with music by Bach. This said, the Burgstaller Martignon 4 (a quartet with Joe Burgstaller of the Canadian Brass on trumpet and Hector Martignon on keyboard) delivers an above-average outing of jazz-classical fusion. It claims to have taken off from the Modern Jazz Quartet's Bach experiments of the 1950s, but the playing bears very little resemblance to the MJQ's cool sound. Variety is an attractive hallmark, both in the overall range of classical pieces given the jazz treatment, and in more specific applications. Mendelssohn's Songs without Words probably have never been played as jazz before, but the quartet here essays two of them in completely different ways. The aria "E lucevan le stelle," from Puccini's Tosca, is another odd-sounding choice (opera has rarely been a source for jazz players), but in all these cases the presence of melodic raw material is enough to get the group going. The non-Bach tracks as a group are actually stronger than the Bach interpretations, but of the latter group sample "Erbarme dich" (not "Ebarme dich," as the track list has it), from the St. Matthew Passion, BWV 244; vocalist Brenda Feliciano sings the melody in long notes, while the jazz players ornament it. This is an unusual procedure for a jazz-classical fusion, and it points to the originality of the album as a whole. Throughout much of his career, Sam Yahel was described as "organist Sam Yahel." But when his 2009 recording, Hometown, became commercially available, one started hearing him described as "organist/pianist Sam Yahel." On Hometown, Yahel played the acoustic piano exclusively -- which came as a surprise to listeners who knew him for his organ-oriented albums. And if anyone thinks that Hometown was just an anomaly for Yahel, From Sun to Sun proves otherwise; this is another piano-oriented effort from him. Yahel, however, doesn't play the piano exclusively on this 2010 recording; From Sun to Sun, unlike Hometown, also includes a little organ playing (the pensive "Blink and Move On" finds him on both organ and piano). But the acoustic piano is the main focus of From Sun to Sun, and the same musicians who accompanied Yahel on Hometown (bassist Matt Penman and drummer Jochen Rueckert) also accompany him on this 68-minute CD. From Sun to Sun is, for the most part, of album of piano trio performances; Yahel usually expresses his pianistic thoughts with original compositions, although there are some Tin Pan Alley standards as well (including Cole Porter's "So in Love," Donald Kahn's "A Beautiful Friendship," and Vernon Duke's "Taking a Chance on Love"). Hometown, for the most part, favored post-bop intellect, although the disc occasionally hinted at the funky soul-jazz pianism of Gene Harris. On From Sun to Sun, however, Yahel sticks to post-bop complexity -- which is probably just as well because he is obviously enjoying himself on this disc. From Sun to Sun is another enjoyable reminder of the fact that Yahel is not only a talented organist -- he is also a talented acoustic pianist.